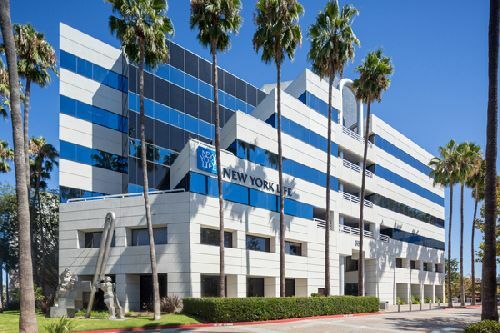 In an institutional office acquisition out of Silicon Valley, a joint venture between CIGNA Investment Management and The Muller Company purchased Century Plaza, a 103.6k sf, six-story office building in San Jose, for $63.4 mil ($612/sf). The asset, located at 550 South Winchester by Santana Row, was sold by New York Life Real Estate Investors. “We saw an opportunity to acquire a well-located property that would allow us to add value by executing a strategic business plan to reposition the asset as a first-class office destination,” said Jon M. Muller, a principal with The Muller Company. “The ownership plans to rebrand the property and invest approximately $4.1 mil to upgrade the façade, landscaping, lobby, restrooms and corridors in order to maximize rents and create a modern Class A office building in the heart of Silicon Valley and steps away from Santana Row, San Jose’s renowned outdoor lifestyle and retail destination.” The property was 82% leased at the time of the sale.